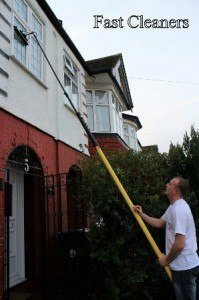 Cleaning Services Hammersmith Fulham could help you keep the property spotless. If you have a fastpaced daily schedule, employ a dependable cleaning company so you won’t need to bother about cleaning your home after a busy day at work. You will be able to spend priceless time with your relatives or focus on other important things. Before you decide to hire a cleaning service, do some research on the different options you have. Select a cleaning agency with an amazing status, affordable prices and efficient employees. You need to contact different agencies and ask them important questions. Ask when the agency was established. Getting excellent quality cleaning services will be easier if you limit yourself to businesses that have been around for many years. Newer firms might not have experienced employees and their managers might not know how to supply clients with premium quality services. Discover how employees are hired. A trusted company should do criminal record checks on new workers and take the necessary time to train them. When a cleaning company does not provide info on how employees are hired, pick a different business. You should also ask about the detergents that will be used to clean your property. Make sure these products are safe to apply and you can also ask for green alternatives if you are nervous about the health of your loved ones. Having your home cleaned with green detergents will help reduce allergies and asthma, especially for young kids. An effective cleaning company should encourage staff to carry out a few tests to ensure a property is properly cleaned. When a cleaning company doesn’t set any standards or does not require workers to comply with a certain procedure to clean a house, it’s wise to select a different firm. If you need more info regarding our Cleaning Services Hammersmith Fulham, make sure you contact us on 020 3322 7168 or check this out.